We have the largest marble fireplace factory showroom open to the public in the UK. Our fireplace showroom is open the the public 7 days a week and is ideally located for access form all locations. If you don't want to visit the showroom then buy on line or on the phone from the comfort of your own home.You can have your marble fireplace made to the sizes you require in a choice of different marble colours making your fireplace truely bespoke. Nevada Marble Fireplace. 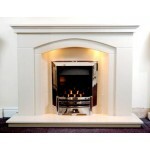 A stunning marble fireplace made by us in England. Complete..
Three Step Marble Fireplace. 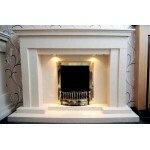 A stunning marble fireplace made by us in England. ..
Nevada Arch Marble Fireplace. 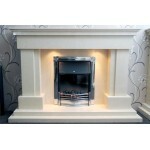 A stunning marble fireplace made by us in England. Com..
Gabrielle Marble Fireplace. 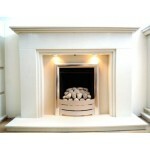 A stunning marble fireplace made by us in England. 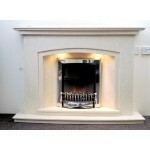 ..
Delta Marble Fireplace. 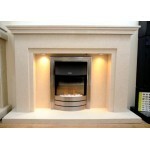 A stunning marble fireplace made by us in England. Complete ..
Tripple Step Marble Fireplace. 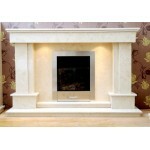 A stunning marble fireplace made by us in England. ..
Crown Marble Fireplace. 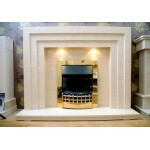 A stunning marble fireplace made by us in England. Comp..